When you walk out of Tru Salon + Spa with your gorgeous, new hair color, you expect it to last. We make sure you know all the basics to keep your color-treated hair looking its best. Here’s some of our top tips to keep your hair color looking vibrant and your hair feeling soft and silky for months to come. Wait as long as possible before shampooing. Your stylist will give you guidelines, but typically it should be several days before you wash your hair. Waiting is essential to let your color properly set. Otherwise, your color will tend to fade or wash away before it has had time to set. Wash less often. Daily shampooing strips away your hair’s natural oils that keep your hair hydrated. With color-treated hair, each wash may ever so slightly strip away a little bit of the color. Ask your stylists about which dry shampoo is best to use in between washings to keep your hair feeling soft and smelling fresh. Hydration is vital to maintaining your new color. We have an assortment of preferred conditioners based on your hair type that will keep your hair color looking new. Regular deep conditioning treatments or leave-in products are especially helpful for color-treated hair. Use less heat. Heat as a rule can damage any type of hair. To protect your color, avoid heated styling tools when possible, and if they must be used, try a lower temperature and apply a color protectant to your hair before styling. Come see your stylist every six to eight weeks. Removing split ends will make your hair look healthier but it’ll also prevent additional breakage so your new color continues to look beautiful and fresh. 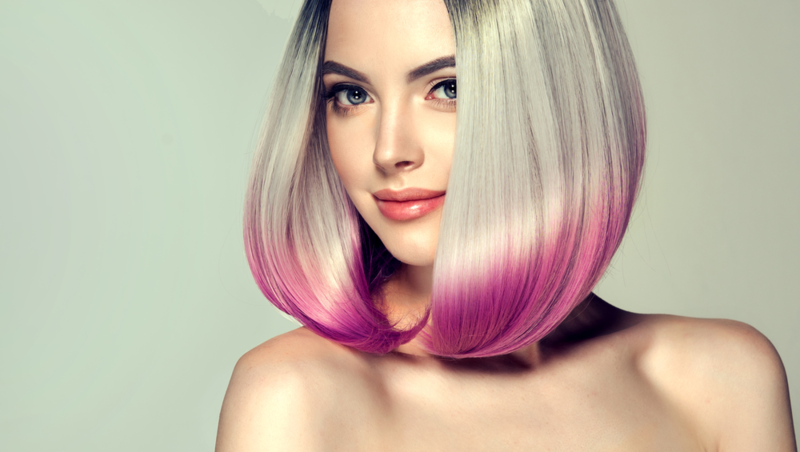 If there’s any touch-up during the course of your color, your stylist may recommend it at this time.